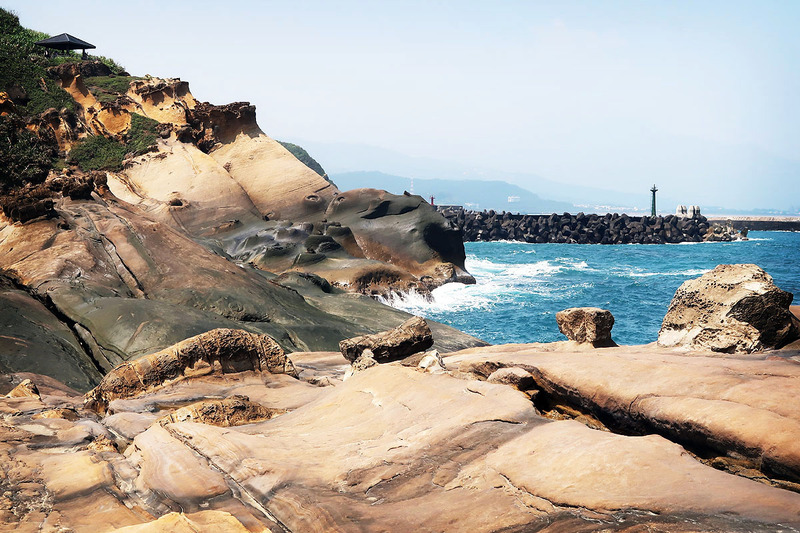 Yehliu Geopark is a unique beach on the north side of Taiwan. 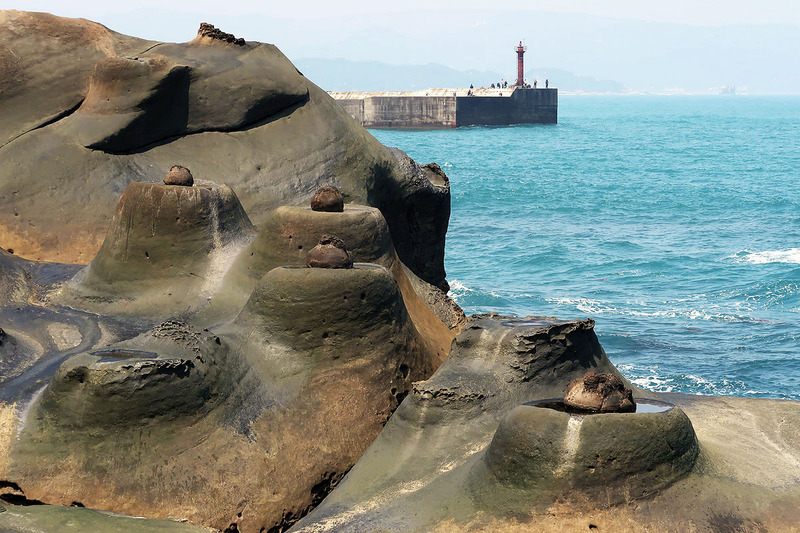 There is a formation of large rock with a unique shape. Mostly shaped are big mushroom. Some of the them have more special shape, for example there is a “heart” shape or “tail of whale”, and the most famous one is the “Queen Head” shape. 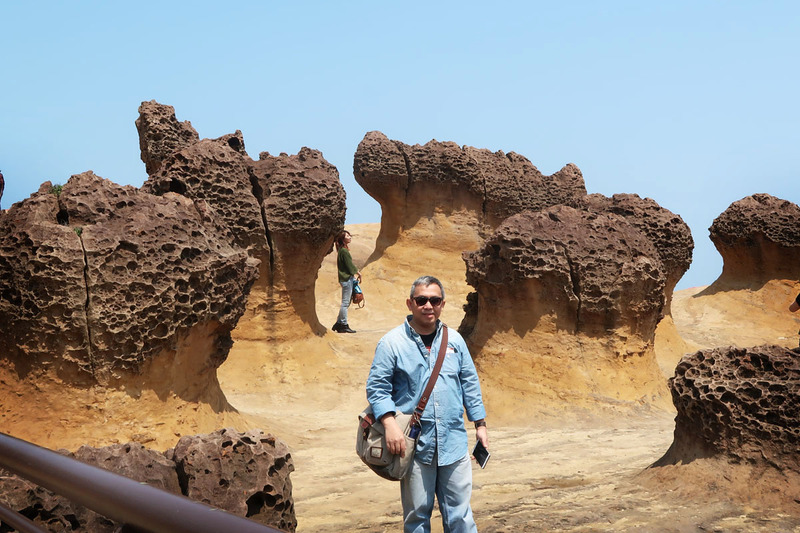 The rocks in Yehliu are actually limestone formed by the erosion of the Pacific Ocean that is very swift currents. In addition, it is also formed due to the movement of Taiwan Island earth plate which is also included in the Ring of Fire. Historically, the word “Yehliu” itself comes from the language “Pinpu”, the original language of its indigenous tribes of Taiwan. In addition, this term also comes from the Spanish Punto Diablos which means Devil Place. 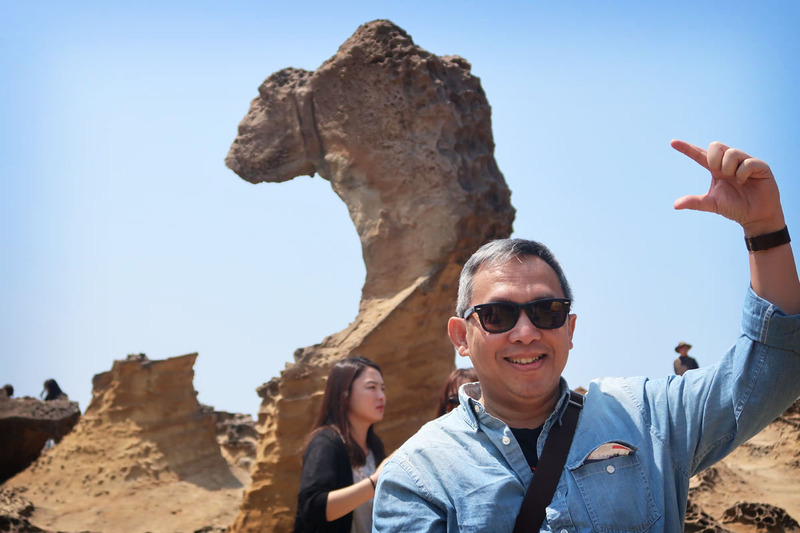 Behind the naming, there is a story of why the place is called Yehliu. In ancient times the people there were fishermen living in the sea. They get rice from the islanders. The uniqueness, the rice is taken by using bamboo slats that have been perforated at the end, and the traders eventually refer to this process as “rice stolen by foreign tribes” in which the foreign tribe in Taiwan is called “Yeh” and stolen is called “Liu”. This is the origin of the naming of this region. 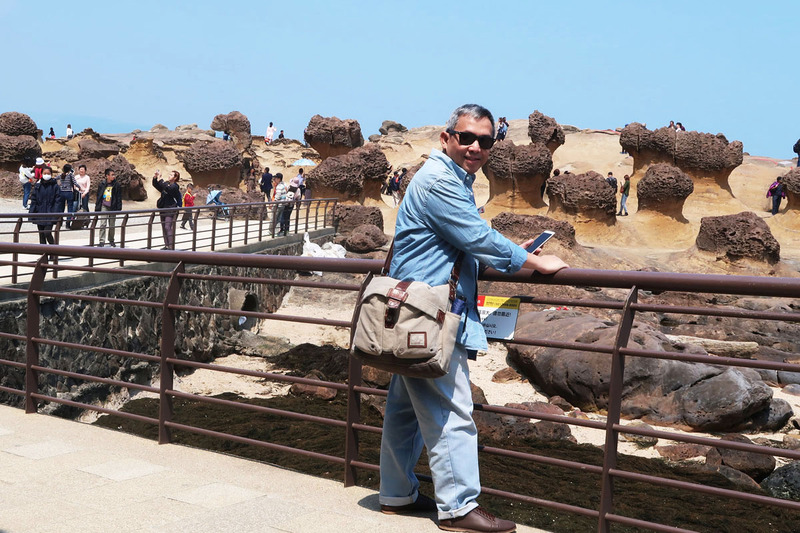 Yehlio Geopark is not too far from Taipei. 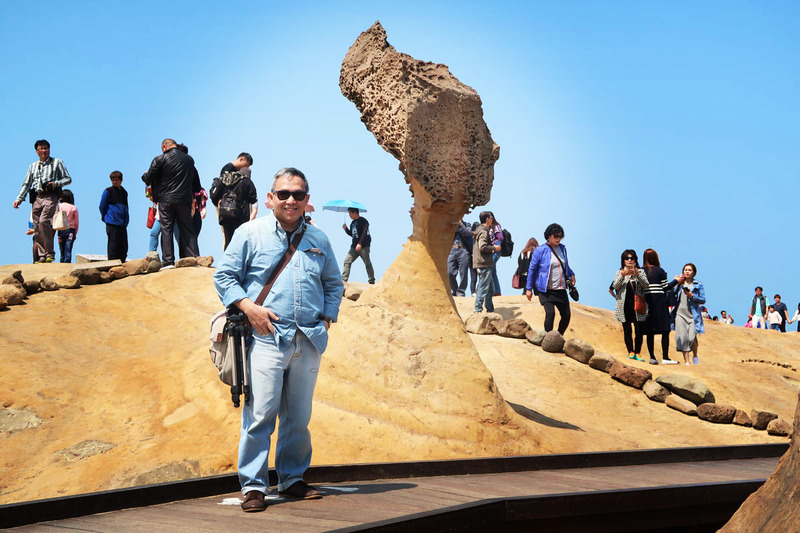 If you go to Taipei and have an extra day, it is highly recommended to go there. The total time required to visit, including travelling time, just half a day. If you leave early morning it will be better. First, the situation there may not be too crowded, so more freely to take photos. Secondly, you can use the remaining time for a visit to other places. 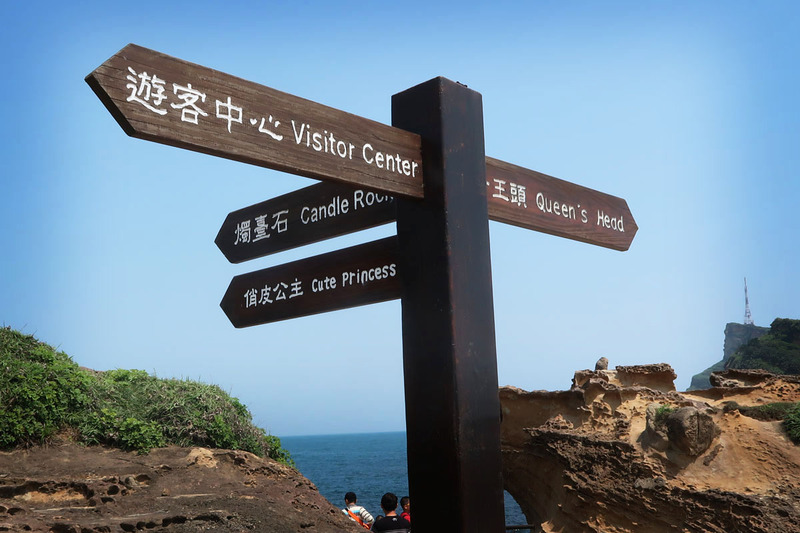 At least, there are five important points that are recommended to visit and there is interesting photo spot. First, the special man made place provided to view an enjoy most of the area there. 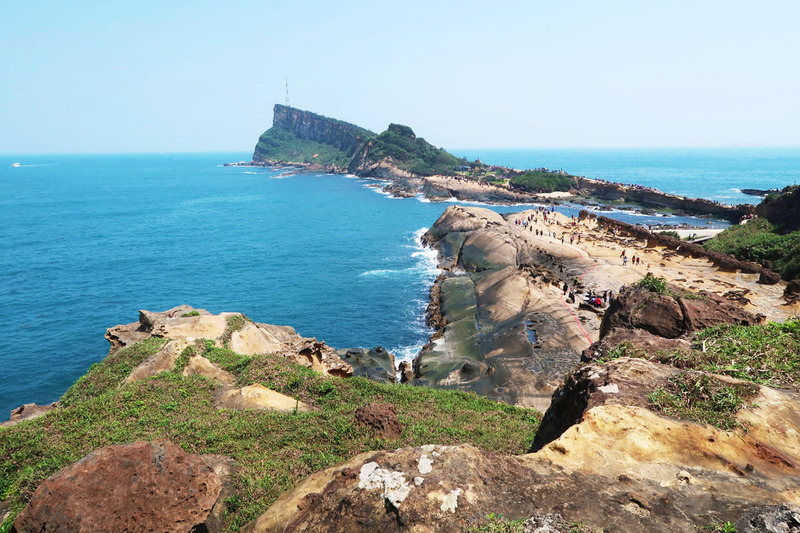 Usually at the first come, most people will stop here, enjoy the landscape or take pictures with the background of the beach and unique stones. Second, the beach where the limestone scattered with various unique shapes. You can take pictures there as much as possible. The problem is, there are so many people there, so it is not easy to find photos spot in the most interesting places that are free from other visitors. When I visited there, not too late, not very crowded. As time goes by, more visitors are coming, and you will feel more crowded. Consider to come earlier to visit there. The third spot is a stone that have shape the “surface of a candle”. There are some stones nearby. The cross-section of the surface is round, there is a slight basin similar to the surface of a candle near its axis. 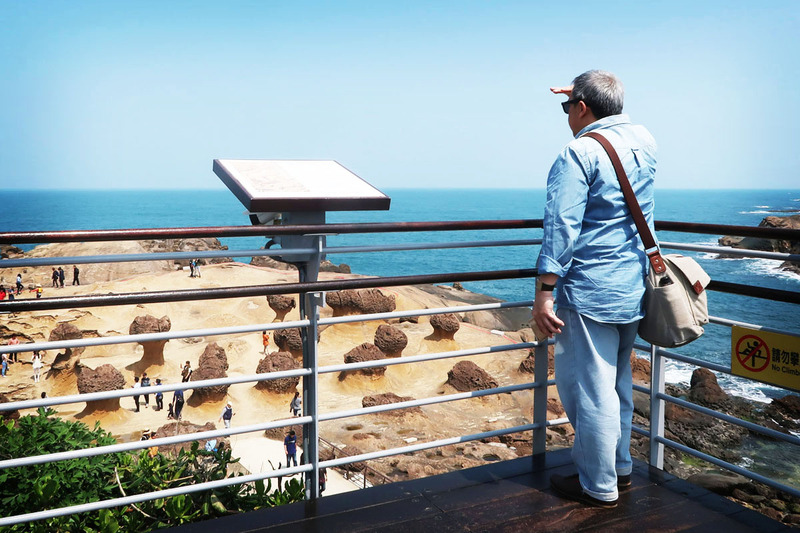 The fourth spot is where to enjoy the view from above. Find the uphill path from spot 3 to the hill. You will find a rest area on top while enjoying the beauty of the all landscape from above than the first spot. I recommend to go there. Not too far, the road is nice (paving block), and its scenery is worth than the effort for climbed up. The fifth or last spot is the most famous spot, the “Queen Head”. When I get there, we have to queue long enough to be able to take pictures in the place. A bit of problem if we go alone, because someone has to take our picture. Look at the queue near us, maybe there is other visitor(s) need help to take take picture also. Maybe he is alone, or a couple who need take picture together. To get to this place, we come down from the hill, towards the lane arrives, then there is a sign to the “Queen Head”. All my photos were taken using Canon G7x pocket camera. Selfie photos taken using camera + tripod + control via HP via wifi. Cost and How to Go There? To get there, there is a bus that departs from Taipei Main Station. You just come to the Bus Terminal which is integrated with Taipei Main Station, ask or find info there, surely you will find the bus easily. Just ask the officers, many officers who understand English there. You do not need to change the bus, once up will arrive at the destination. 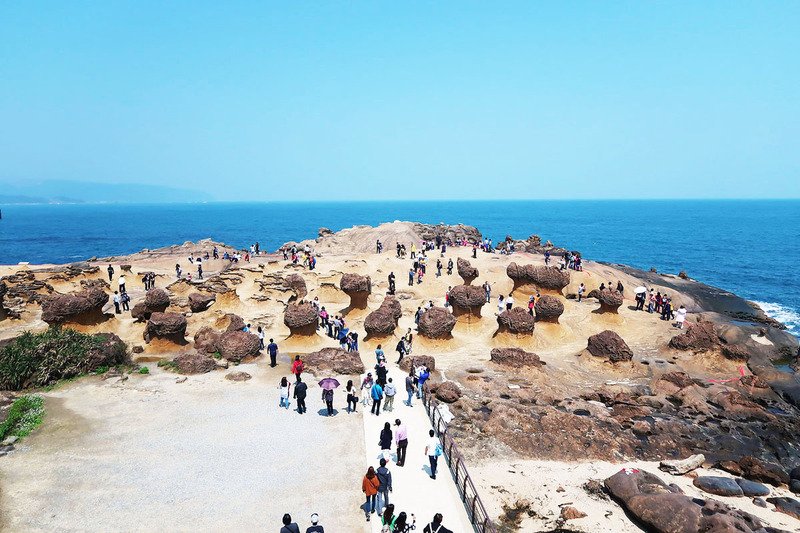 But, please note that Yehliu Geopark may not be the ultimate destination of the bus, so you should not fall asleep and stop at the end of the bus route. You must know exactly where to go (the dismissal of Ye Liu). The best recommendation is to keep turning on Google Map during the trip, so we know where we are and where to go. The journey to Ye Liu through dozens of stops and takes about 1 hour. The bus ticket is 96 NT $ (about 3.5 USD). 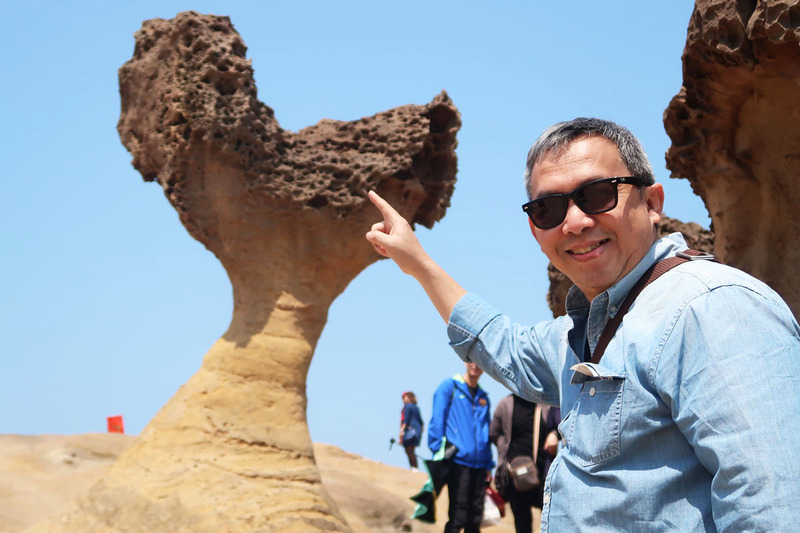 After dropping off at Ye Liu stop, seek directions to Yehliu Geopark. There is a branch road from the highway that passed by the bus earlier, not far from the bus stop. 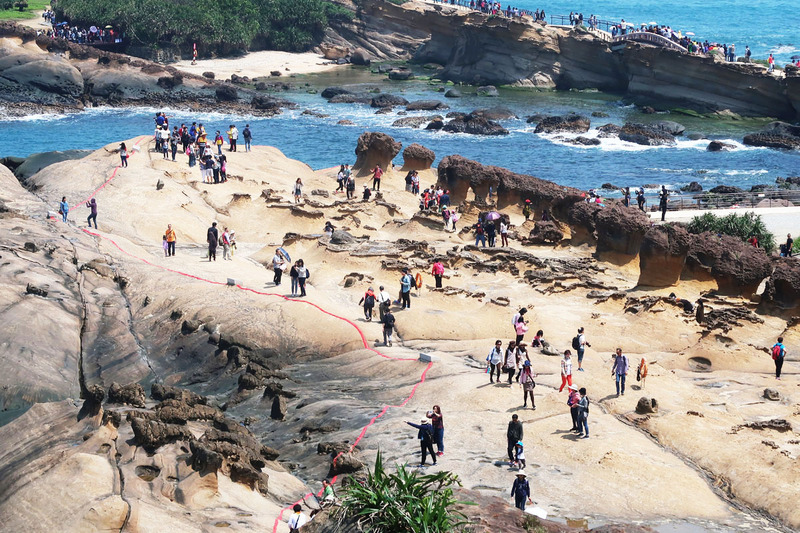 Once you enter the road, you will see a 600 meter green line like the photo below to yehliu Geoprak. Just follow the path, you are guaranteed to arrive at the destination. Along the green path, you will go through the fishing ports of many fishing vessels, as well as a row of seafood restaurants with fresh fish / shrimp. If thirsty or hungry there are some small super markets that are also passed. 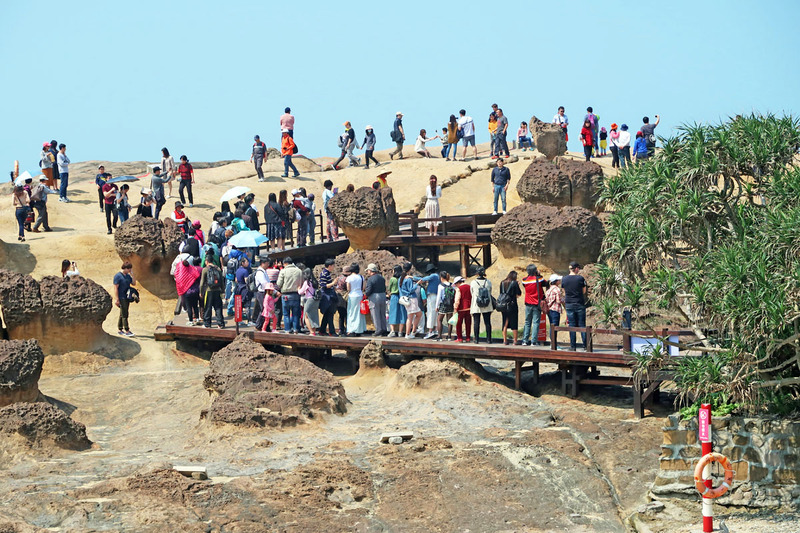 Once arrived at the destination, you just buy a ticket at the counter and walk to a unique rocky beach following the instructions. Ticket price is 80 NT $ (about 3 USD). My experience of visiting some tourist attractions in Taiwan, average tickets cheap, even some attractions can be visited without having to pay. Thus, the total cost required to get here from Taipei is only (96 + 80 + 96) NT $ or about 9.5 USD only.